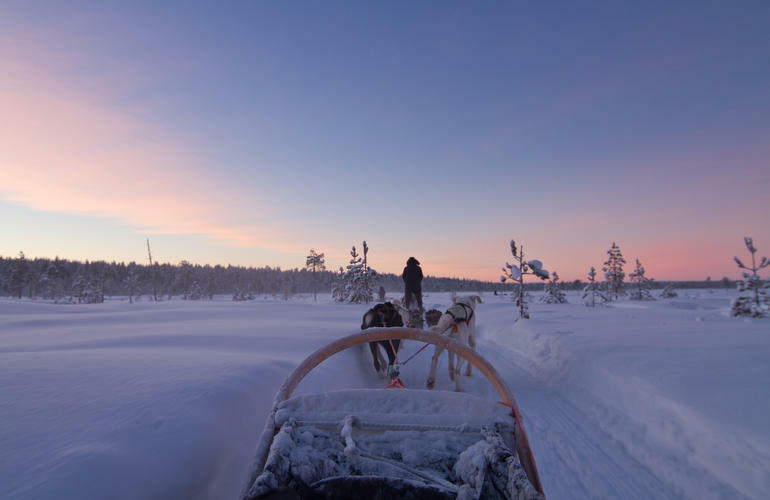 Enjoy a 100% dog-sledding experience of 8 days to put yourself in the shoes of a musher and to live and understand this vocation. 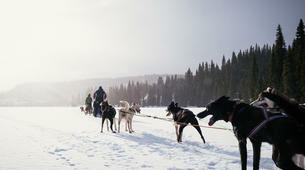 Nordik Way proposes unforgettable dog sledding rides in the beautiful landscapes of the Swedish Lapland. Day 1: Arrival at Luleå airport and transfer to the base camp at Olstorpet, near the village of Älvsbyn, south of the Arctic Circle. Installation in your typical Scandinavian chalet. At this point, you'll get your equipment. Welcome dinner with the team and first briefing on the stay with your musher guide. Day 2: Meeting with the pack and introduction to driving the sled. After a good breakfast, you enter the world of dog sledding by getting to know the pack that consists of Alaskans Huskies, Eurohunds and Alaskan Malamutes. You will discover their way of life, the organization of the kennel, the care they need, their racing training, etc. You will then follow a practical introductory course in dog teaming techniques (sled, tow-lines and harnesses) and driving. 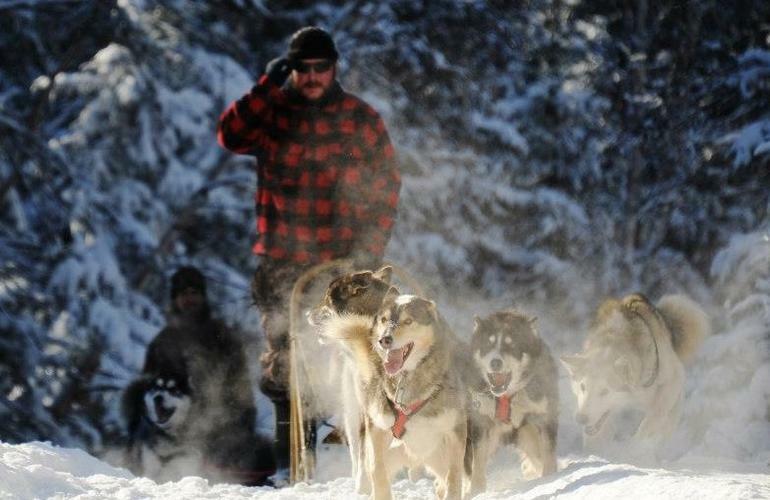 A first outing allows you to familiarize yourself with your team on a journey of a few hours guided by the musher. It's time for a well-deserved lunch break and the opportunity to make your first fire in Lapland and share your impressions of musher-to-be. 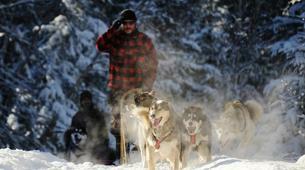 In the late afternoon, you return to the camp to unhitch the dogs, have a good time with them and reward them. - Days 3 and 4: Sled Raid: you now know the name of all your dogs (or almost). 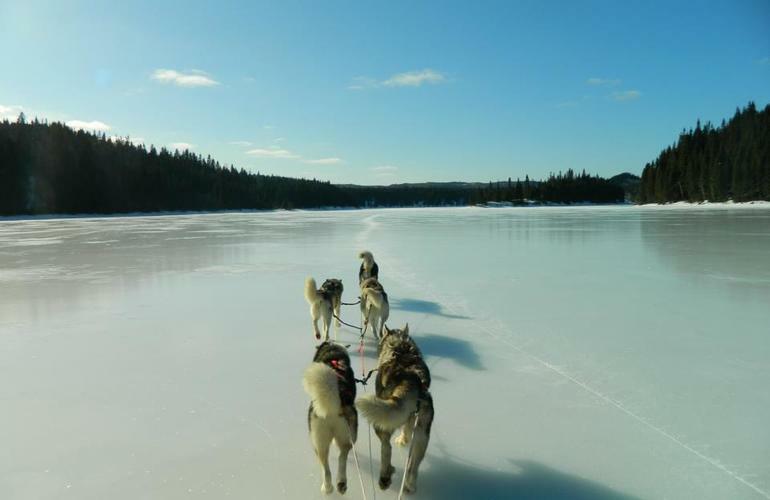 Helped by your guide, you put on the harnesses (team of 3 to 5 dogs per sled) and go on an unforgettable excursion. 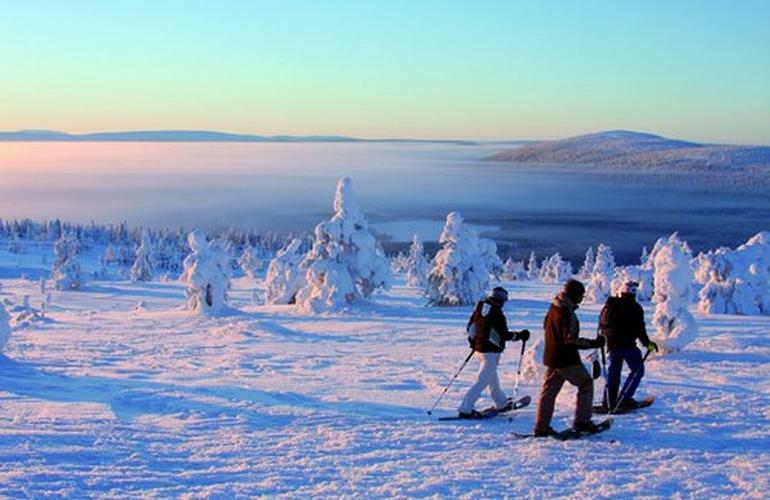 Standing on the skates of your sled, you drive your own team in the magnificent landscapes of the Far North. 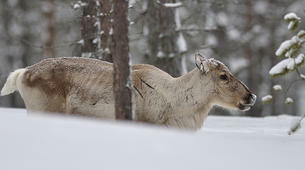 You travel about 40 to 60km, between 4 and 6 hours of sleigh a day. 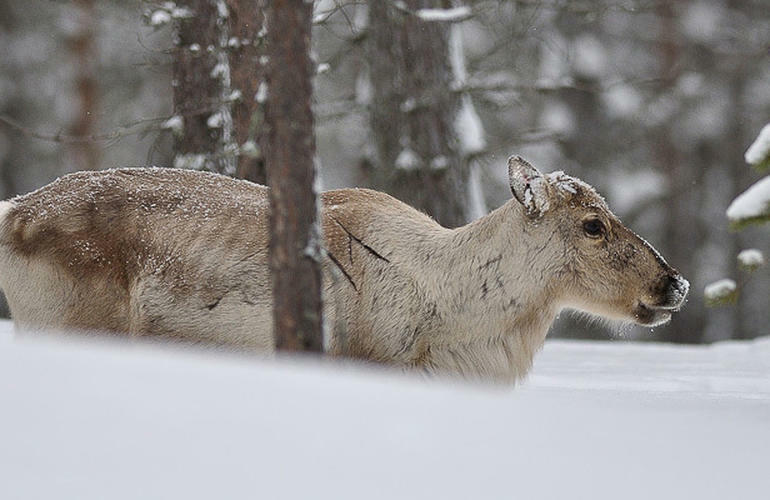 After a picnic around a fire, you leave to explore the Sami territory. 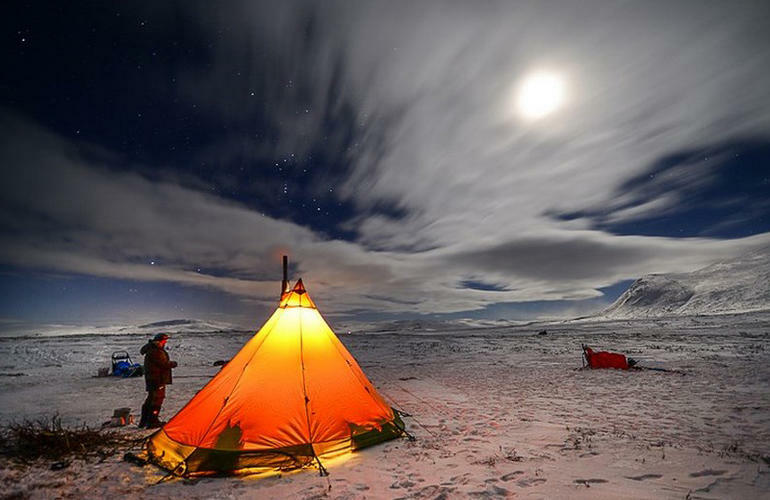 Once at the bivouac and the dogs are well looked after, a fire is lit in the trapper's hut, or you settle in the nomadic traditional Sami habitat, which is a teepee equipped with a wood stove. After dinner and a good night's sleep, you get back on your feet with a good breakfast, and an energizing soup for your dogs. You tie up the camp, prepare the team and go on with your adventure. 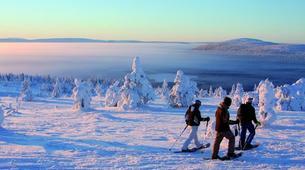 You discover a wide variety of landscapes: hills, swamps, rivers, taiga and the large frozen lakes of Swedish Lapland. You arrive at the end of the afternoon at your base camp. After the care and hugs with your dogs, a hot shower and a good meal awaits you! - Day 5: Discover the Storforsen Falls. You put on snowshoes to discover this local curiosity. You have lunch in a typical Swedish restaurant overlooking the falls. In the afternoon, you'll get to a small shop offering an assortment of local handicrafts, as well as culinary specialties from Lapland. Back at the base camp, you will enjoy the Scandinavian wellness ritual and the benefits of the sauna. - Days 6 and 7: Sled Raid. You're back into the adventure, alternating tracks on frozen lakes and in the boreal forest, you have the privilege to cross one of the last big wild spaces of Europe! You may be lucky enough to spot capercaillies, snow partridges, foxes or Arctic hares. Arrive at the bivouac: get water, feed the dogs, prepare the sleds, cut wood, light a fire... you experience the life of a trapper. 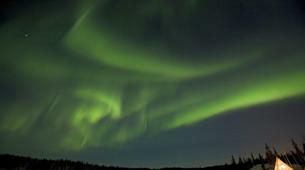 Far from the artificial lights, you can stay near the fire to wait for the northern lights. After a good night's sleep, you will return into the wild of a well-preserved nature. 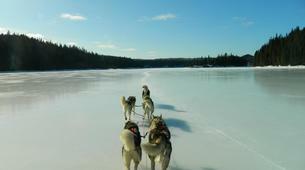 You enjoy the last kilometers with your pack and the exceptional beauty of the lights of the Far North. - Day 8: Morning departure for France, transfer to Luleå airport and flight to Paris. 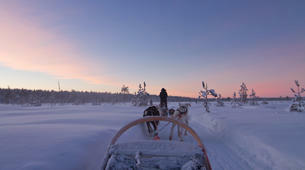 You'll stay amazed at your Lapland mushing adventure for a long time after that! Your accommodation is located at the Nordik Way base camp: the old Olstorpet campground, in the heart of the taiga, between lakes and hills. These traditional Swedish wooden houses welcome you with: living room, bathroom and toilet, bedrooms. 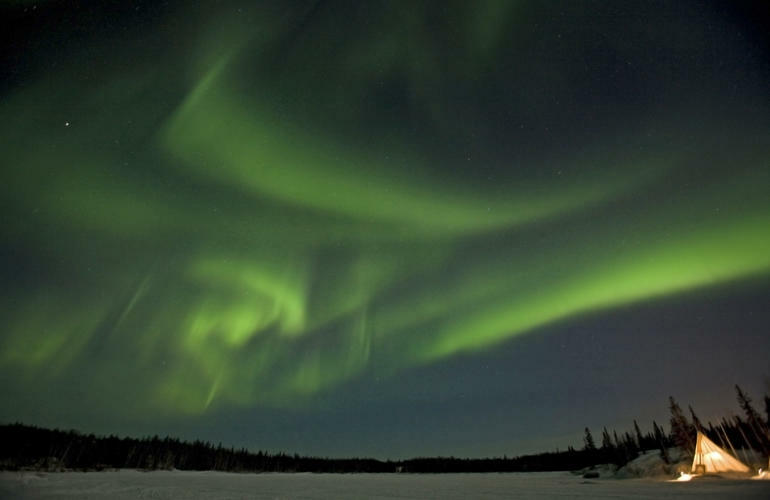 After a good day of dog sledding, you'll find yourself in the common area where you can enjoy the sauna, the outdoor jacuzzi, or have a drink in the lounge, waiting to enjoy a friendly meal in a Far North atmosphere. On bivouac nights, you can enjoy nights in the heart of nature in a trapper's cabin or in a teepee equipped with a wood stove. You take breakfasts in the main lodge (common area), or under the teepee on raid days. The lunches are in the form of picnic every lunch (except during the day "local culture"). 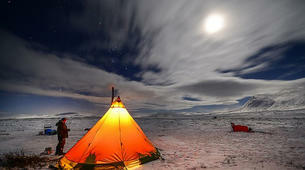 Dinners are taken in the lodge and on bivouac nights in cabins or tepees. Departure time depends on your arrival at the airport. Please contact the pro after your reservation is confirmed to let them know about the time of your arrival. 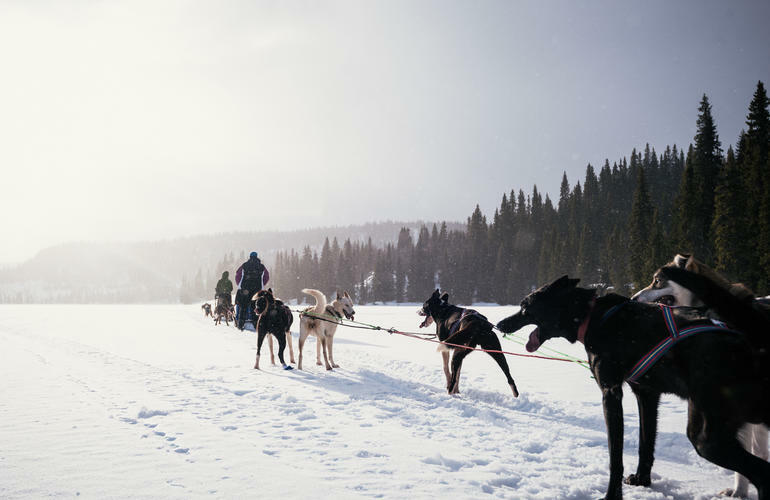 Even if a first experience in dog sledding is not necessary, mushing practice on long days and in cold and dry weather (between - 2 ° C and - 25 ° C), requires tonality and endurance in the boreal environment. This circuit therefore requires a good physical condition and a great interest for outdoor activities. Extreme cold adapted equipment is provided.